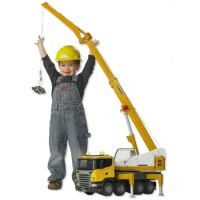 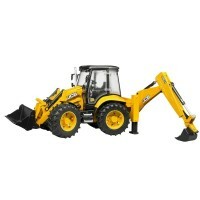 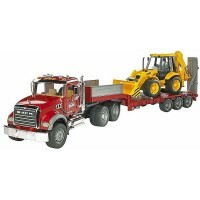 This awesome Bruder low loader MAN truck comes with JCB backhoe loader making this play truck set every boy's dream gift! 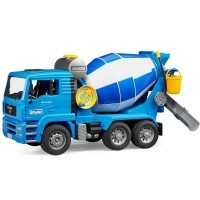 This toy vehicles set is every boy's dream come true! 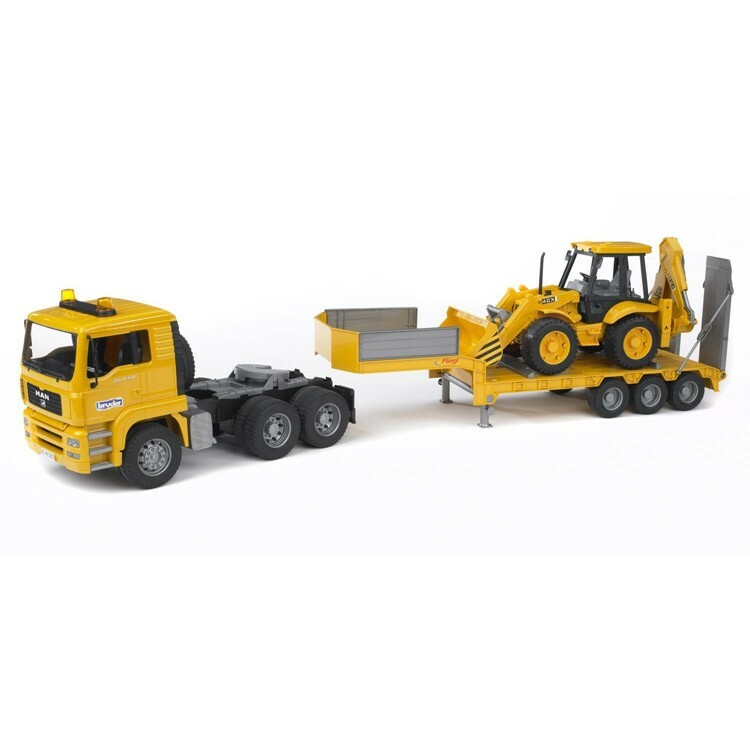 In this kids play truck set by Bruder everything is superb: famous German engineering, highest standard craftsmanship, amazing functional features and enormous play value! 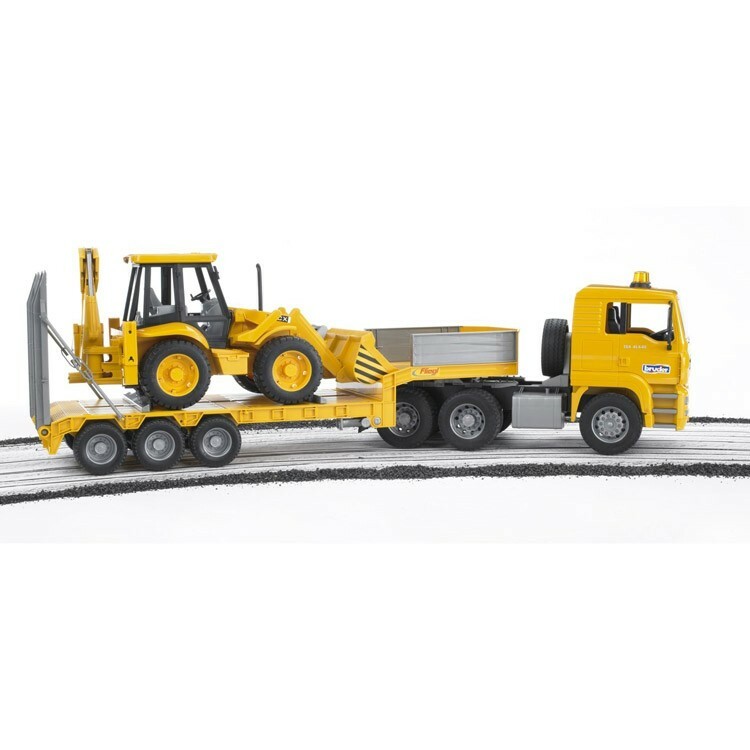 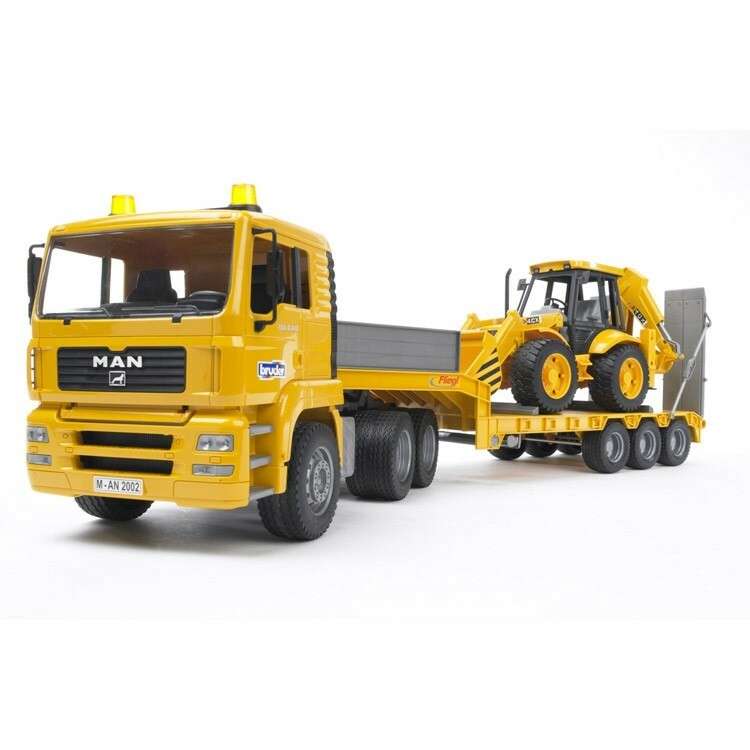 Bruder Toy Truck Set - MAN TGA Low Loader with JCB Backhoe Loader features 2 play vehicles that present a 1:16 model of the real trucks. 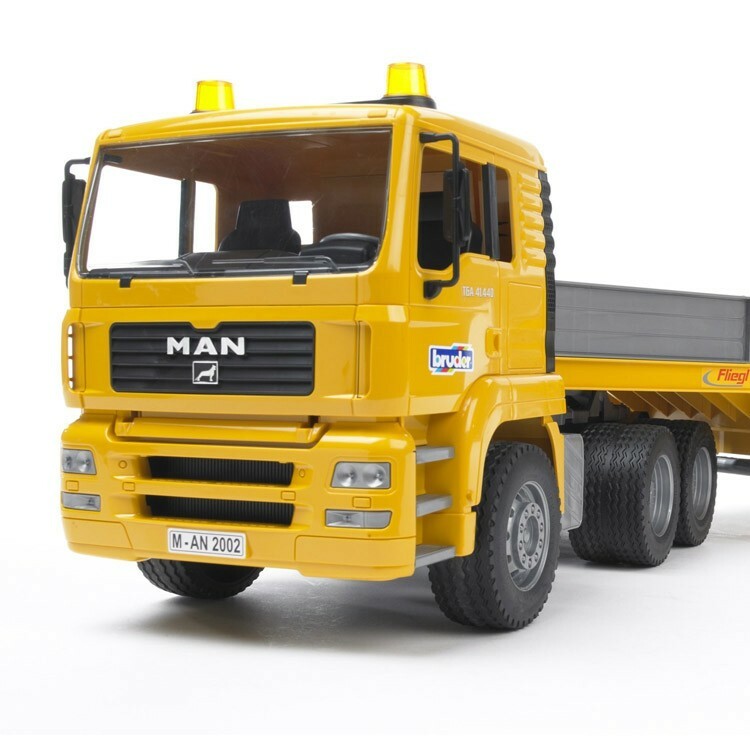 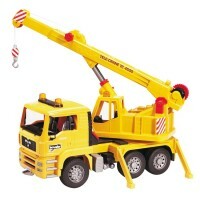 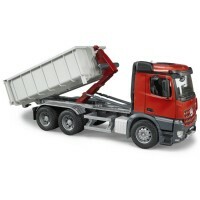 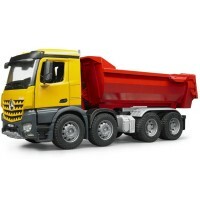 The first toy vehicle is Bruder MAN TGA Low Loader that features tilting driver's cabin, folding mirrors, tread tires. 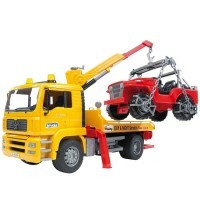 The cabin windows of the toy low loader are made of transparent and best quality polycarbonate. 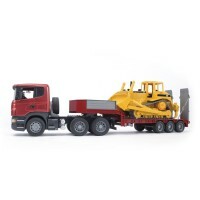 The clip-on low loader features the fifth wheel coupling. 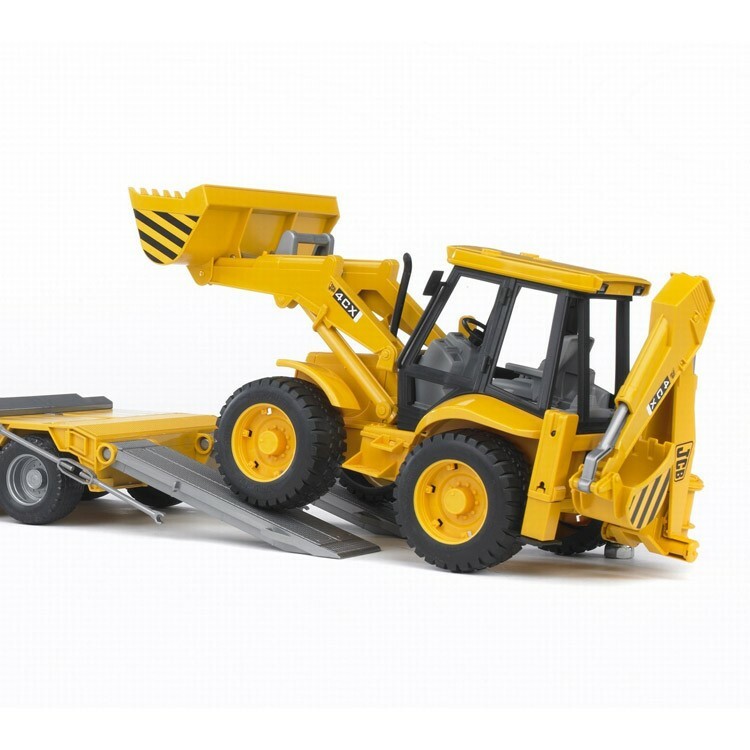 The second toy vehicle in this truck playset is the fully functional JCB 4CX Backhoe loader that features a swivel driver's seat, extending stabilizer legs, tilting bucket, movable steering wheel, moving backhoe, and tread tires. 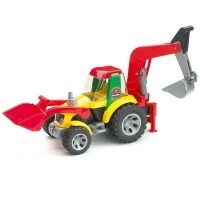 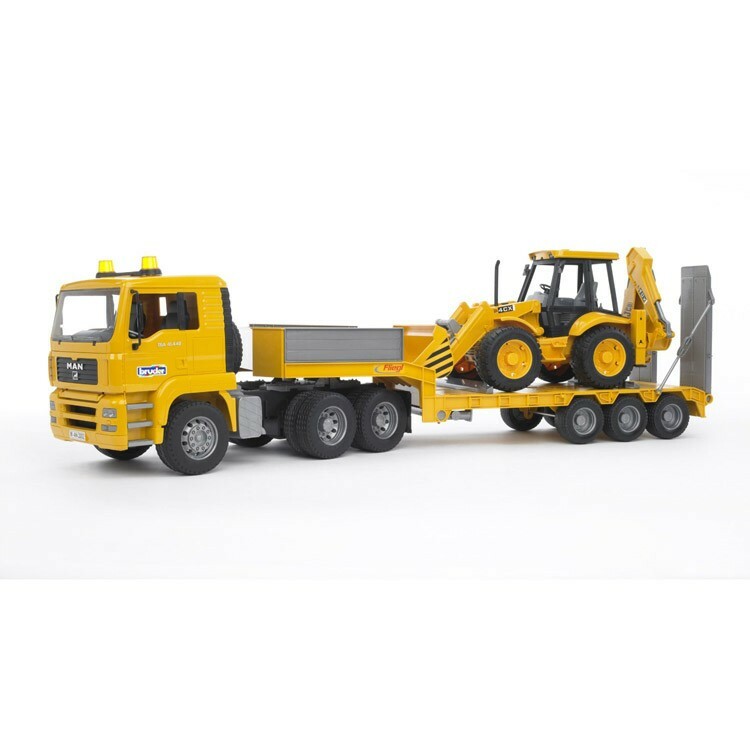 Kids can move the toy backhoe or any other toy car on this Bruder low loader truck to transport them to another room, or a new construction site in your play room. 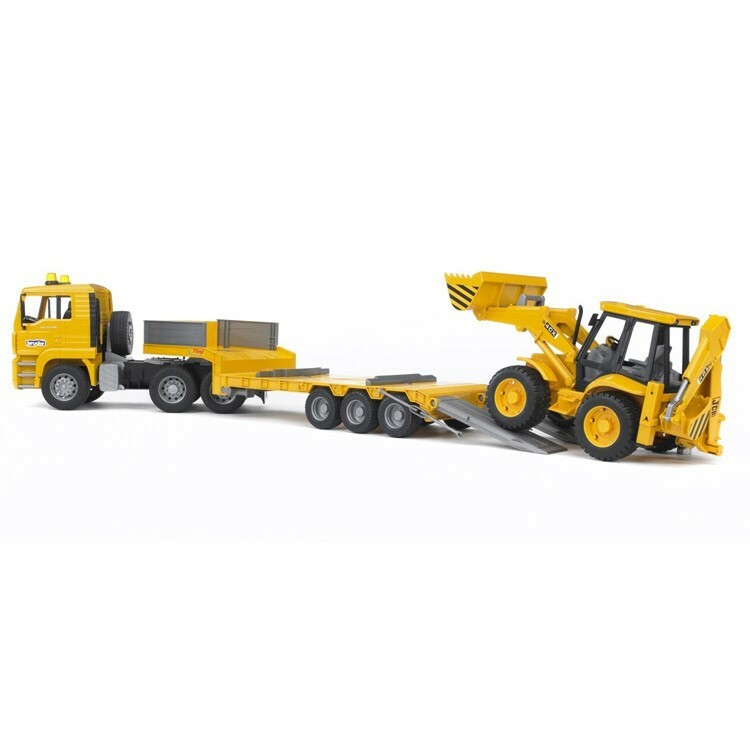 Educational Toys Planet's Bruder Toy Truck Set - MAN TGA Low Loader with JCB Backhoe Loader will make a deluxe holiday or birthday gift for any little car lover with big imagination! 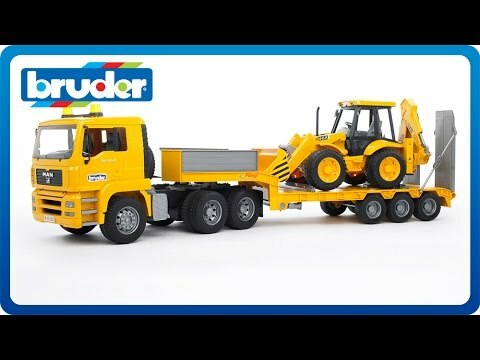 Dimensions of package 7.09" x 33.86" x 9.45"
Write your own review of Bruder Toy Truck Set - MAN TGA Low Loader with JCB Backhoe Loader.